Let’s face it most of us don’t spend every day booking cars to be transported across Australia. So, if you need to get your car from Sydney to Brisbane, or you live in Adelaide, but just bought a rare vintage from a rural location in WA, how do you ensure you’re getting the best deal on car transport and ensure that your car arrives in exactly the same condition as you left it? It’s tempting to spend an afternoon pinging different sites and asking for quotes, but doing this can send you down a rabbit hole of wildly different prices and mind-boggling T&C’s. The cheapest is almost certainly not going to be your best choice. What looks good at face value, soon becomes a pain with added charges, admin fees and lack of insurance coverage. If you go down this option, be sure to check across suppliers and compare like with like. This might be an old adage, but it rings true when you are after the best deal on car transport. An experienced car transporter will ask for as much information as possible. There are many different makes and models of cars in Australia and a reputable car transporter needs to know specific details to ensure a safe and secure spot on the trailer which won’t hinder the journey or damage other cars. The more specific you can be with information, the more accurate your quote will be. If you’re looking for the best deal on car transport then you can’t go past a multi-level, multi-vehicle open trailer. This is the most common and cost-efficient way to transport vehicles right across Australia. The upside is that you will share the cost of the trip with other vehicle owners, bringing down the cost per vehicle. The downside is your car will be exposed to the elements during the trip. You may also have to wait a while to get your car, due to other drop off’s and pick up’s on the way, and you will need to get to a central drop off location to pick up your car as a large trailer will not get down your suburban road. Rest assured, drivers of these vehicles tend to be highly experienced and will secure your care safely for the trip. If you have a non-running vintage car, a rare sports car, or a professional racing car you may want to consider a closed trailer to protect from the elements or a single trailer to protect your pride and joy. If your car isn’t driveable, you will definitely need to book a single vehicle trailer. The driver of a large multi-vehicle trailer will not be able to load and unload a non-running vehicle. The cost will be higher as you are not sharing the load, but your car will be safe, secure and protected from the weather. It will also arrive far quicker and right to your door! Where to find the best deal on car transport for me? The choice of transport you use will be the main driver in determining the cost of your car transportation. 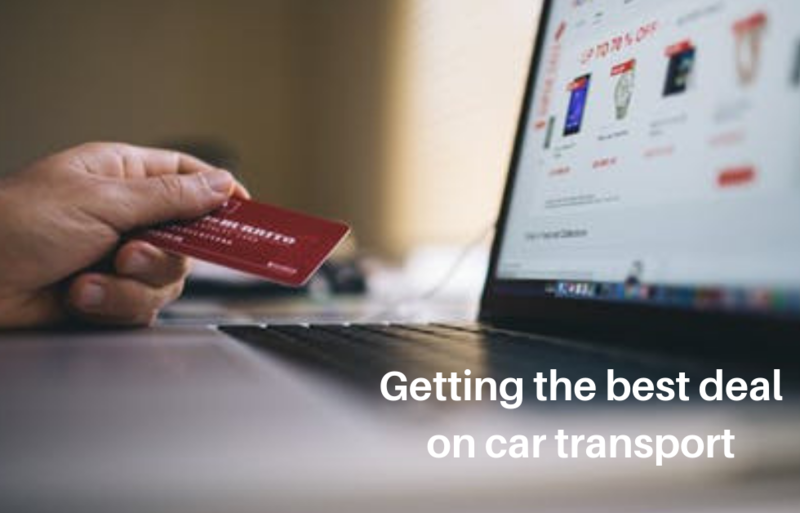 If you aren’t sure which type of car transport to use, post a job on an online marketplace specifically for transport jobs. By choosing an online marketplace, the right transporter for you will find you. Competing transporters will quote on your job and you can weigh up the options in line with your budget. Expert transporters find you and bid, enabling you can compare fairly and get the best deal on car transport.